Create a professional custom look frame, for a fraction of the price. Frame artwork, photographs, and more to any full inch size from 8" to 40". 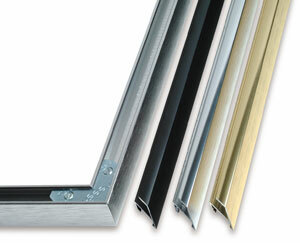 These aluminum mouldings are the same quality utilized by custom picture framers and are easy to assemble.